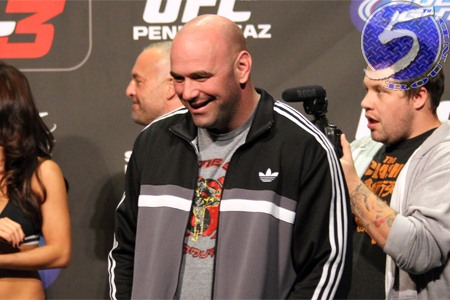 It’s fight week, so you know what that means – blog week for UFC president Dana White. In his latest installment, White provides exclusive behind-the-scenes footage from UFC 140. Like in previous blogs, White claims he’ll crank out more videos leading up to this Friday’s “UFC 141: Lesnar vs. Overeem” pay-per-view broadcast. However, this time White promises he will really publish more personal promos.